Do you have metal or silver fillings in your mouth that are glaringly noticeable? Have you ever wondered why dentists fill your cavities with a material that is the exact opposite color of your natural teeth? For years, this amalgam or silver filling was their only option. Thankfully, modern dentistry has brought us tooth-colored fillings, which is the only type of filling we use at Aegis Dental. Dr. Moji Chandy is experienced in restoring cavities with tooth-colored fillings in Carrollton for the most natural-looking smiles. Tooth-colored fillings are made of a composite resin material that can be specially shaded to blend in with surrounding enamel. 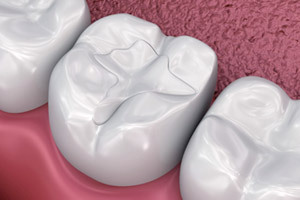 The end result is a filling that is virtually invisible to the naked eye. It mimics the way that your natural teeth reflect light, and this plastic resin resists wear and tear for long-lasting function. 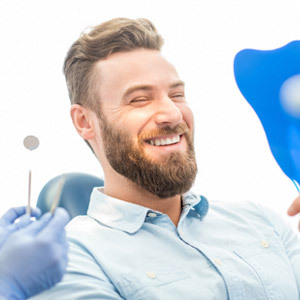 Many believe that tooth-colored fillings are also healthier than amalgam because they don’t contain mercury—a metal that has been linked to numerous health issues. Traditionally, a filling, which is the primary way dentists repair small cavities and slightly damaged teeth, is made of a material called amalgam—a mixture of multiple metals. This material is very strong and durable, but it has a few noticeable problems. First, it always leaves a large gray mark on any tooth it is used on, plus, the metal can make a tooth much more sensitive to hot and cold temperatures. They also bond better to the enamel, allowing us to preserve more of a tooth’s natural strength and structure while repairing it, ensuring that both the restoration and the tooth will last for many years to come. In order to provide a more conservative and aesthetically-friendly solution, Aegis Dental only uses tooth-colored fillings. Dr. Chandy, an expert dentist in Carrollton, will numb your mouth to make sure the procedure is comfortable. Then, she will remove any decayed tissue from your tooth before filling it with tooth-colored resin. 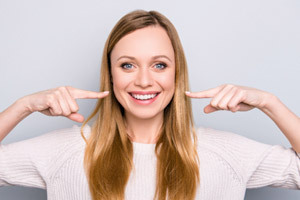 She will use a special light to harden and finalize the filling, and then finish by adjusting it to fit your bite and polishing it to match your natural teeth. Do you have some cavities that need fillings? To learn more about tooth-colored fillings and how we can use them to help you, contact us today.